The following replica extension skills have been added to the correction. By “Improving the description of all skills” on April 3, the difference between the notation and the effect was found in some skills of Art-edit and Replica extension. We will make corrections according to the following policy. We will correct the skill effect according to the notation before April 3 “Improving the description of all skills”. The targeted skills are as follows. Inflict 30% of INT worth of damage to the forefront enemy and decline INT of forefront enemy by 5% of INT value. Deal damage to the forefront enemy equal to 30% of this Hero’s INT. Increase INT of the forefront enemy by 5% of this Hero’s INT. ▼We will fix the following skill effects. 1.Deal damage to the forefront enemy equal to 30% of this Hero’s INT. 2.Decrease INT of the forefront enemy by 5% of this Hero’s INT. Recover the party member with the lowest HP by 40%. Heal HP of the ally with the lowest HP by 60% of Healing Coefficient. Heal HP of the ally with the lowest HP by 40% of Healing Coefficient. Heal HP of the ally with the lowest HP by 50% of Healing Coefficient. Heal HP of the ally with the lowest HP by 35% of Healing Coefficient. Heal HP of the ally with the lowest HP by 30% of Healing Coefficient. 1.Heal HP of the ally with the lowest HP by 15% of Healing Coefficient. 2.Heal HP of this Hero by 25% of Healing Coefficient. 2.Heal HP of this Hero by 15% of Healing Coefficient. Deal damage to the forefront enemy equal to 45% of this Hero’s PHY and Deal damage to the forefront enemy equal to 48% of this Hero’s decreased PHY amount. 1. Deal damage to the forefront enemy equal to 48% of this Hero’s PHY. 2. Deal damage to the forefront enemy equal to 48% of this Hero’s decreased PHY amount. 1. Deal damage to the forefront enemy equal to 45% of this Hero’s PHY. There are two types of data. Actual state: data used for logic such as battle. Notation: data for displaying on a screen in a form that can be understood by humans. In blockchain services, it is a big problem how to operate these two data regardless of the use of off-chain. From now on, it is a policy to operate so as to eliminate the difference between the actual situation and the notation in MCH. It means, we display on the screen using the notation data which is automatically created from the actual data. The change of displaying skills on the other day is the first measure of this policy. In the future, we will also change the method of prior notice so that there is no discrepancy between the actual situation and the contents written in the article posted in advance. The priority is given to the actual situation, and the actual situation is not changed only by the judgment of management(double jump.tokyo). 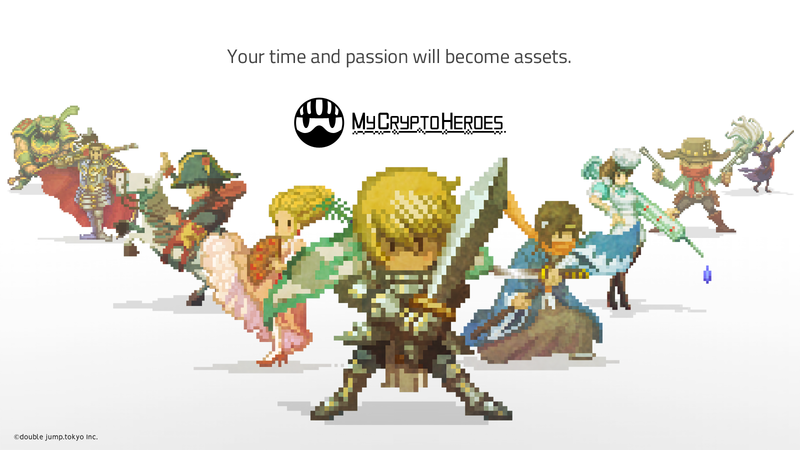 Because the ownership of ERC 721 assets (Hero (excluding Replica Hero), original extensions, and Landsector) belongs to the user themselves and having management change the skill and parameters of assets which management doesn’t have their ownership is against the idea of ​​blockchain.